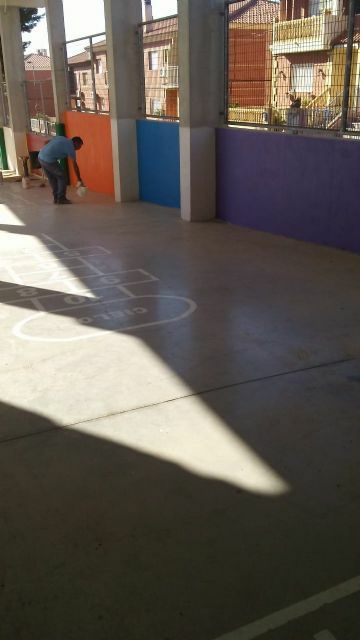 The Department of Works and Infrastructure is undertaking during these weeks numerous improvement and conditioning activities in the schools of Totana coinciding with summer school holidays and in preparation for the start of the school year 2018/2019, as reported its owner, Víctor Balsas. 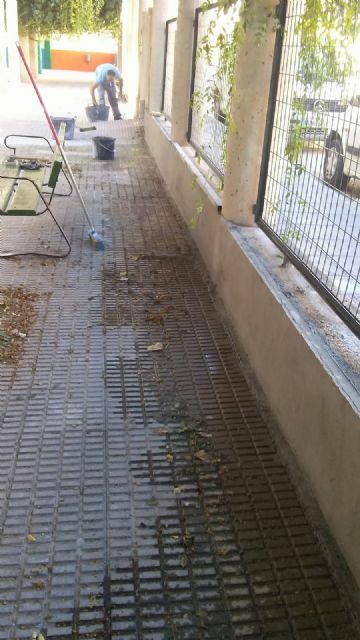 Among the most important works is the investment of 4,600 euros to renovate the doors in the CEIP Santiago, just as it was done in the CEIP Santa Eulalia, which did not comply with the regulations on prevention. In the latter, more painting work has been done on part of the walls of the patio walls and plastered the perimeter wall. Similarly, the Department has fixed and expanded a toilet, and plastered also part of the perimeter wall in the CEIP Comarcal-Deitania. 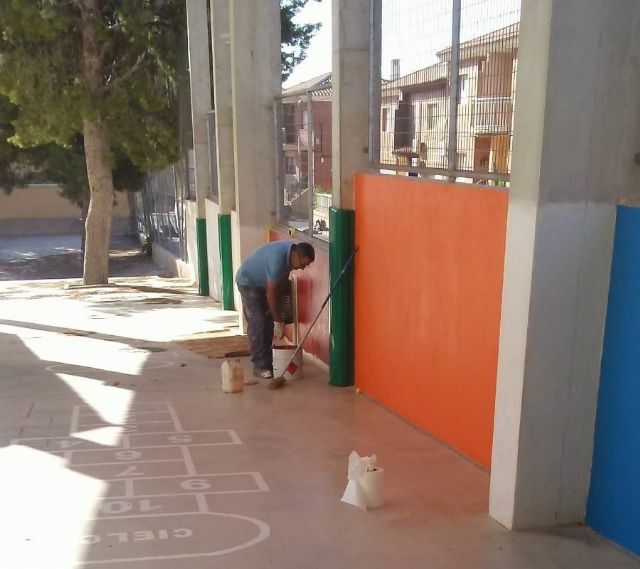 On the other hand, in CEIP Guadalentín de El Paretón, painting has also been undertaken in a classroom, where 6,200 euros have already been invested in the school's roof. 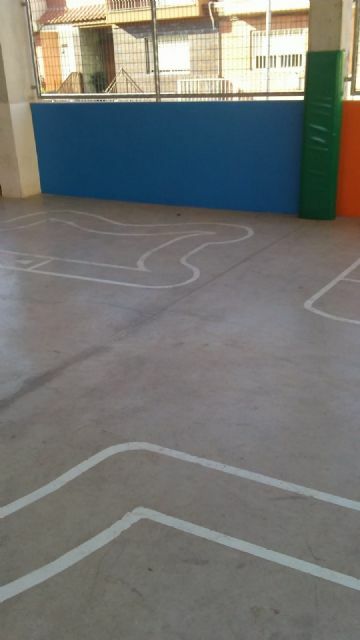 Councilman Works informs that before the end of this year will be bidding for the work of covering the sports center of the CEIP San José in order to start such action in the first quarter of 2019. Likewise, Víctor Balsas points out that the municipal technical services have prepared and submitted to the Ministry a project, agreed with the general director of Centers in a visit in June to CEIP Tierno Galván, to expand the power of the school and thus climateize the classroom to combat high temperatures, for a total amount of 80,000 euros, which must be financed by the Autonomous Community.